You are here: Home » News » Financial News » Crypto Currencies » Prophetic dream warns of sudden mass exodus of traders and war coming in March. I dreamt I was just about to cross a bridge to go to a place where my friends and I often went, to meet someone. I could see people sitting at tables talking, almost like a coffee shop. Just then the bridge was blocked by a stream of people leaving the place and a friend I haven’t seen for 25 years, Louisa, told me it had turned into a Freemason’s lodge and its new name was Europia, so I mustn’t go there. It seems Louisa had been at this meeting place, but was leaving along with many others at the same time. 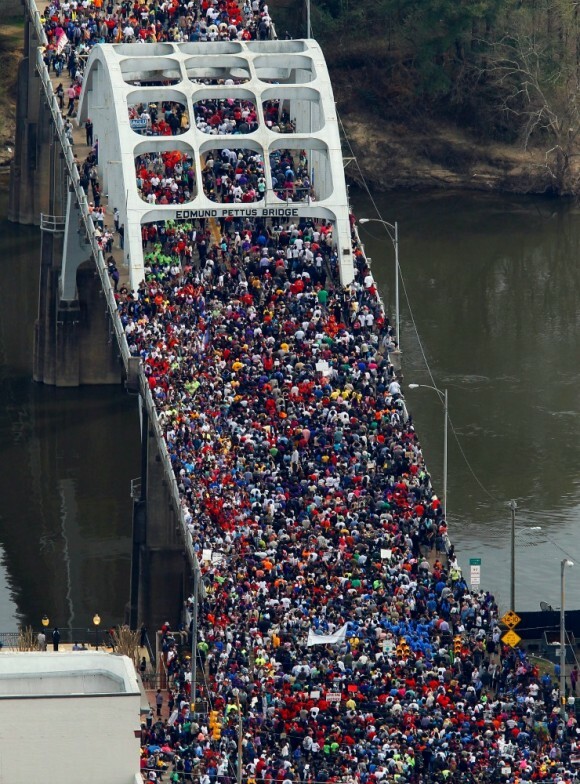 The bridge was so filled with people leaving that no one could go the other way. The rest of the dream concerned driving from place to place in a big white pickup truck on roads I hadn’t been on before. After waking, I prayed concerning the thought of Cryptopia being the place which had become a ‘Freemason’s lodge with a new name (and therefore new character or identity, as a name is a reference to the characteristics of the person carrying it). Was this the gathering place where people were streaming out of? That same day, I tried to log onto Cryptopia and my computer couldn’t even find the site. I tried on my phone as well and it was the same. Yet others could log on. The next day, it was back to normal, which made me realize that the Lord was giving me a sign and confirming that the way there was about to be blocked by people leaving. It seemed in my dream they were leaving because of changes that had occurred. The same day, I also discovered about one of the banks in NZ stopping trade with Cryptopia, which resulted in them informing traders that at the end of March they will no longer trade in NZDT, so people must withdraw their trades. Looking at it now, I realized this was represented by the bridge being blocked with people leaving Cryptopia. Then I discovered that March is named from the Roman god Mars, the god of war. I am not sure which war. It might be Trump okaying the attack on North Korea as this has been recently prophesied, but in any case, this will affect the markets hugely. Another possibility is war in the Middle East. Purim is at the end of February, a celebration of the destruction of the Jew’s enemy Haman in Persia which is modern Iran, so Israel might be about to attack Iran as they seem to often do strategic maneuvers in line with Biblical dates. The end of March is Passover. I am reminded that the weeks before Passover were traumatic weeks in Egypt, the firstborn died. So the month of March is going to be ugly for the investment market, probably the time of the huge wave plunge. This year, Passover begins at sunset on Friday, 30th March and continues until sunset on Saturday, 7th April. I am quite upset at the prospect that the Lord may be warning me that Cryptopia is about to become an unsafe place, where the Bride will be taken captive, during the bull run, as it has become a familiar comfortable place for me (perhaps the coffee shop where friends go). I have personally had no problems with trading or withdrawing at Cryptopia, until the first week of February when I felt I needed to take all the small amount of ETN remaining and place it in my wallet. For the first time, my deposit was still pending after 22 hours in spite of doing everything I was supposed to. I have been much in prayer since then, concerning what to do. The Lord instructed me on the 4th February to join the NEXT exchange which is about to start trading in ETN . What I actually heard was, “Move to the next exchange.” Seeing as the only other exchange trading in ETN from 14th Feb is NEXT exchange, it seems obvious to move all ETN into a wallet and then trade on NEXT exchange when the value rises significantly enough and the conversion to fiat option becomes available. In the dream, my friend told me the new name of the meeting place was Europia. The name Europia could also indicate the crypto markets used to be a kind of Utopia for investors but it will change to Europia and people will be fleeing it. The name change might also mean that the place of gathering to exchange crypto becomes a freemasons lodge – this speaks of illuminati takeover of crypto market They have had control of the stock market and will deliberately crash it, (which I saw in a previous dream represented by the white card being let go to crash to the ground) and they hate that the crypto market is not under their thumb so they will establish strong control by witchcraft and government and bank shutdown. I am asking to be led concerning this, as it seems Cryptopia will not be the place to sell RDD later, because of turning into ‘Europia’. I believe this warning is similar to the warning the wise men received concerning Herod’s evil intentions after laying their gold and silver and frankincense (representing prayer and worship) at the Lord’s feet, and they had to return by another way which was shown to them by the Lord in a dream. There is a crash coming. Get out of the way and move higher for safety. From this platform, you will be able to watch what unfolds and know when it is safe to return to trading. Please pray earnestly as to what the Lord would have you do. Trust the Lord to instruct and remove you from the rollercoaster before the disastrous plunge begins. So Christine this could potentially be a mass panic exodus from the market during the height of a bull run. This would fit in with my third wave to 30-35k followed by a crash to 2k. I have been wondering what would fulfill a 95% market crash and war breaking out could certainly cause this. In this event exiting from the market in a timely manner will be very important, and using exchanges that will not be traps, and securing coins in safe wallets. Praise the Lord for letting us know the things to come and I pray we may be guided through these times in the safety of the Lord. May God bless you. Christopher. Another possibility is the war causes the drop to $4850, then we start the third wave up. Dow 12,000 Bitcoin $30,000 Make 400% As Early As March 21st With This 3 Step Strategy ( That is a headline from a newsletter I subscribe to) Interesting, eh? see my comment above about the bull running away with the woman, Christopher. Thank you so much for this word! Do you have a referral link for the next exchange that I could put in? I am signing up now and noticed it has a referral program. I got all my electroneum off Crytopia too in a wallet and am in the process of getting my Redd off in batches. I am hesitant on taking Redd off all at once because it sometimes takes over 30 hours for the transaction to show up in my wallet. I also have Redd on Bittrex and the transaction is instantaneous. Thank you again for your posts. This forum is such a huge blessing and encouragement. Hi Corri. You must open your RDD core wallet every morning to keep it up to date. Otherwise it is verrry slow. The referral program is on hold on NEXT exchange at the moment but thank you for the kind thought. Hi Christine. All the information you and others have shared regarding the exchanges has helped tremendously. It definitely does feel much safer and wise to have more than one way to enter or exit for when the time comes to sell or buy. I just wanted to share/update what I have been experiencing with transfer times to my Redd wallet from the Crytopia and Bittrex exchanges and am wondering if this is similar to what others are experiencing (I keep the wallet in constant sync). From Crytopia, Redd has arrived safely each time to my wallet but it takes around 15-30 hours compared to less than one minute from Bittrex to my wallet. I can imagine how long it would take if there were a mass exodus and can see how important it is to act before that time comes and to have a 2nd option. That is great news that Bittrex is slowly taking new customers! I just signed up for Next and KuCoin to have other options for ETN too. Thank you again everyone for sharing. It is an honor to be on this journey with you all! Thanks for this update Corri. Great info. Corri: Which wallet are you using to store ETN? Hi Moses. I have my ETN on the electroneum web wallet and paper wallet. There is still a small amount on the exchange though. Has the Lord shown you anything about Tether? I haven’t received anything about it. Christine did though and the Lord told her to get out of it. I’ll update if I do. Christopher. As Christine stated in her post, we should each seek God about this, especially because her dream did not mention Cryptopia. That came from her interpretation. As soon as read the Headline and before reading this dream “Cryptopia” came to my mind. I believe the Lord gave Christine the right interpretation. Ali, there are some other exchanges for RDD, one is bittrex, but they are not accepting new customers yet. Then there is upbit and yobit, I don’t know if they are reliable. I asked to be considered for a new account (in Bittrex) and I was approved in less than a week. How do you ask for approval? It is a favor from the Lord since I really wanted to buy some RDD. I filled up the form in their website. The worst exchange that I have read from traders is the Russian Yobit. A lot of stealing of their funds occur while depositing, withdrawing, etc. Customer Service is terrible. Please completely avoid Yobit. Marcio, thanks for the warning about yobit. Interesting Eldon. Would FAZ do well during a drop in the Dow like that? Could somebody link me instructions or information about how to obtain it, I am considering about it. God bless. Christopher. 1. Open an account at commsec. In order to open an account at commsec, you need to open an account in commonwealth bank. It will be linked together. 2. After log in to commsec, click ” trading “, then click ” international “, then there should have a notice come out instructing to print and fill in an USA form. This form must be filled in. Then send/upload this form to commsec. 3. After approval, you need transfer your AUD into USD into that ” international ” section of commsec. It takes one business day. 4. Then you can start to trade us stock directly. Great was able to get myself some FAZ! Using Commsec as an Australian worked very well! God bless my brethren! I felt led to add that I decided to purchase FAZ about two weeks ago, added to my position recently, and ever since I began purchasing FAZ, I have been seeing the numbers 555 through license plates, through the time etc. I believe that this is a confirmation from The Lord, Jesus Christ, of the dream that Francy was shown; in that dream, she was shown that FAZ would go up, not to $46 as some here are claiming but, in multiple’s of 5’s (…$50…$500…$5,000 etc.) As always, seek The Lord, Jesus Christ, for guidance, direction, assistance, influence and divine protection. God Bless You All. Thank you everyone for the information, I really appreciate it. Historically, financial stocks drop faster than other sectors during market crashes. Since FAZ is based on the financial sector and moves in the opposite direction three times as fast, it would do very well when the market crashes. If the prophetic insights about a crash in March are correct, that would be a good time to own FAZ. To buy it, you have to open a brokerage account with firms like E-Trade or TD Ameritrade. Not all brokers allow trading in leveraged ETF’s, so you have to check that before opening an account. Hi Christopher, I use etrade to buy FAZ, there are a lot of other companies one can use. The Direxion Daily Financial Bear 3X Shares (FAZ) exchange-traded fund (ETF) tracks 300% of the inverse performance of the Russell 1000 Financial, it doesn’t track the Dow or S&P markets. However, large drops in the Dow and S&P would probably cause the financials and bank stocks to drop hard and fast which would cause the Russell 1000 Financials to tank. FAZ would increase in value. James, Ed, Phanuel, or JR can probably give you a better explanation about FAZ. Hope this helps. God bless. To trade FAZ, you need to register with a FOREX broker that is REGULATED in your country of residence. FAZ moves 3 times as fast, but in the opposite direction as the stock market (Dow Jones, etc). FAZ would be extremely profitable, if the Dow Jones dropped from 25k to below 20k. Not a Forex broker, just a stock broker. SPX has been tracking nicely. The A wave took us down to 2532. The B wave up has been moving slowly and dragging into March. The range has been 2698-2754. This fits with a vision I saw some time ago…..”SPX was stuck in a range for a while then dropped precipitously”. My target for bottom is Faz @46.56 and I think SPX between 1988-2100. The bond market is imploding, I also think indictments are going to be unsealed (triggers). I think cryptos begin to move up quickly end of Feb/March to coincide with March 13th. The end of the 33 days. I have shared 27478 seen last year when bitcoin was around $2800. I also saw $30765 in my exodus wallet last year. So I think a good range to plan an exit is 27478-30765. Exodus literally means exit. Please seek the Lord for guidance. I have noticed that when I get a brief word like this, it means to watch for someone who will bring more revelation in the near future. God Bless brother. ..dow 18,000-19,000 coincides with six 1988-2100. Thanks for sharing. nice analysis. I have a confession to make…I now think it’s an impulsive 5 wave down and not an ABC correction. You I know, I saw 2233.11 on Feb 10, which I think is the bottom of wave 3 (the 1.618 fib extension and fits with your 2241). Wave 5 takes us below 2100. So my current understanding..
Do you have a graph of this? I am trying to follow this and I am trying to understand where we are on the waves you are seeing. I thought we did our ABC trace down after the high and started a new 1-5 climb up which to me look like wave 4 down right now. I don’t have a graph. I start and end with what I’m seeing and hearing prophetically. I use technical analysis to just fill in the gaps, but the prophetic is my gold standard. In my opinion, the wave up from 2532 to 2788 looks corrective and not impulsive. I appreciate your numbers and analysis! This morning I had a quick dream of trying to hold on to the side of a flight of stairs but in the end I couldn’t hold on so I let go and fell down but didn’t hit the ground. The flight of stairs reminded me of your 3-floor dream last year. Though my one was terrifying, it didn’t feel like a colossal plunge but a significant drop. Moments later I saw a previous model Toyota pick-up double cab truck/van with people inside parked on the side of the road under a street lamp (at night) facing rightward. Any interpretations from the community would be appreciated. thanks for sharing. A lot of bearish metaphors. I think it confirms that this drop is not the end of the stock market. I still think we are heading to 30,000 and possibly 40,0000 after this drop. I had a similar vision this morning. I saw myself walking down the stairs in my house with my little 16 year old Shih Tzu following close behind me. She gets scared coming down the stairs because she is so small and the stairs don’t giver her feet much traction because they are hardwood flooring without carpeting. As we turned the corner going down, she came to the steepest part and slipped, losing her footing where the steps turn and the drop is almost straight down. However, I was right in front of her, so I quickly moved to my left, putting both my legs in front of her, blocking her from falling. That was the end of the vision. Dogs are bearish symbols in market dreams and visions, so I think this was showing the market drop will appear steep, but will suddenly be stopped, at least for now. I think bigger drops are coming soon, but not now. Not the most comfortable thing to post, but this is from early this morning. Saw a quick vision view of the backend of a dog (brownish in color) urinating and then a female hand stuck a finger in the hole to stop the flow. Thanks for this great confirmation Tom. Since dogs are bearish and brown represents equities, the brown dog sure sounds like a downturn in the equities market. Since it was a young dog, it seems to confirm this downturn is still just getting started, but for now at least, it’s going to stop dropping. There has been some prophetic stuff looking for a W pattern and the drop this week is forming the second part of the W. If that’s where we are, then this drop should return to roughly where the previous drop was, about 2600 SPX, followed by a steep climb back up to around 2800. I’m looking for that as an entry point for a short position. I think that there is a lot of information in that 2 second vision. I agree with James’ interpretation overall. Picture is referencing- Bearish equities and metals drop is suspended. Dog is bearish and brown color is equities, so SPX down. Young dog means that the drop is either just getting started and will need to grow up or possibly it will be a young/short down turn. Female hand (also bearish) comes left to right in picture to stop flow, so referencing the downturn in metals is stopped. And March 13. it looks like it could drag along till March 13. Was praying about market direction. This is what I got a few days ago. Was driving a car up an embankment, I could not go straight up the hill. Had to drive sideways and barely moved up as I was tracking sideways. Been fasting and praying and this is all I have received so far on the crypto markets. Did have another dream where I pulled back on a chain link fence and kept pulling it until the resistance was too strong and then it pulled me back and I went flying into the air and was actually flying. I do have LINK crypto which is actually named Chainlink. So in prayer about this. Great dreams. I just shared this with K Shine, who inquiring about you. It seems to me at this point in time… Litecoin is ahead of Bitcoin in the wave count and could top before bitcoin around $800-$1000. This could present an opportunity of greater returns by converting Litecoin at its top to Bitcoin prior to its Top (Keeping March 13-26 in mind). From information gathered from this site and other prophetic sites, in my own opinion (this is just a guess), I feel that the first drop of BTC from $12k to $5k could happen in early March (possibly on or before March 13) and could be caused by an escalation in war tactics between USA and North Korea. I suspect that this war will take down the stock market just before it also dips the price of BTC. Also according to my guess, the US conflict with North Korea could be very limited, so I feel that BTC and stock market will rally again before the end of March. My guesses could be wrong. What do you think about this? Based on my current understanding I see cryptos (esp Litecoin) moving higher and higher then topping around March 13-26. The entire crypto market moves together so when one tops the rest follow…. in other words Bitcoin usually doesn’t crash when Litecoin is mooning. They move together, because it is the same market. Dear Phanuel, you are seeing the general uptrend. However, this general uptrend might be interrupted with a dip in early March, before the uptrend continues between March 13 – March 26. Some other sources, see March 8 – 13 and March 27, 28 as bad periods. Sources on this site claim that March 7, March 12 are critical points (either upper or lower limits of crypto or Stock Market), while April 02 – April 04 is seen as severe market dip due to volcano/earthquake in Japan. Thanks for these insights Cunny Fred. Your comment about March 7 being a critical point for cryptos might be confirming what I heard in my spirit yesterday, “Sell on Wednesday.” I was not told which Wednesday, but next Wednesday happens to be March 7. I had not heard anything about March 8-13 being a bad period, but if so it would confirm March 7 as a top. Another confirmation came from a friend who noticed a pattern in cryptos topping in the first week of every other month, including September, November, January, and now possibly again in March. The previous tops have been followed by big drops of 30% or more. My current view is this pattern will repeat this month, but we’ll find out soon. I think bad news is going to keep cryptos from soaring to new highs in March and April. Regarding the earthquake in Japan, I am not aware of anyone claiming it will happen in April 2018, so if you have sources for that, please share them. John Paul Jackson saw it happening during the time when the cherry trees were blossoming, which only happens during a two-week period, including the last week of March and first week of April, but he saw that in 1985 and was not told the year. So, as far as I know, God has not revealed the year. Phanuel – Are you thinking March 13 is the top of wave 2? Cycles I follow indicate SPX should rally into Friday 3/9. Looking for a top between 2800-2840. Thoughts. you mean range bound (sideways) until the 13 of march? 2698. That is the bottom of the range. SPX drop still dragging along til March 13. This is from Feb 8 when it looked doomed. God is Incredible! We broke below the middle of the W on the DOW today, and are below it on the SPX now. We need to hold 2700. Richard, what do you think will happen to the DOW JONES, between today and March 13? I can’t predict the full timeline, as it all depends on what happens tomorrow. We lost the W on the SPX, which is very bad, but holding the 78% fib line support on the DOW for now. We’ll have to watch tomorrow and see, but I think any down move could escalate quickly. Hi Phanuel – appreciate your input – trying to reconcile what CH has shared. Reading your comment leads me to the question: Do you see BTC hitting that 27478-30765 range by March 13th? – That represents an explosive move higher. On the other hand – as per the consensus of two drops – do you see merit in Christophers (an others) drop to approx: 5K > then rise to ATH > then drop to 2K. There seems to be a sense that month of April leading into May might be the big drop in markets – it would seem that SPX drop to between 1988-2100 would take some time to be reached (along with FAZ > @46) – perhaps as long as June. Which leads me to another question – didn’t you mention a ‘bank holiday’ occuring in June (thread a couple years back). That FAZ > @46 in today’s scale is a far larger percentage than what it was 2 years ago. It implies some banks/financials dropping off the charts (bankruptcies). I could be wrong. However, I can’t ignore the 33 days dream. What I’m seeing prophetically fits with what I’m seeing chart wise. I also can’t ignore the 3 floors up to 2808 that was broken (and dropping precipitously 4 days after that) . I can’t ignore Francy’s dream to buy FAZ at $10. And Lastly, I can’t ignore the dream of seeing SPX at 2100 and Faz at $42 (this won’t happen anytime soon if we reverse split again). Once cryptos start taking off they can reach the top in a week. It is possible BTC climbs to $27478-30765 by March 13 (give or take). It took BTC about 6 days to go from $10,000-$20,000 last year…only 6 days. Thanks Phanuel – appreciate your take (and admission) – as far a rise in BTC – I went back and looked at the daily chart. In fact – BTC spiked from 11,7K to 19,7K in just 2 days – out of the blue jump Dec 5-7. So there is precedent. Another aspect worth mentioning – which I shared elsewhere – is that Crytos may ‘spike up on first phase of drop’ in markets – afterwards as fear sets in at DOW 22K? – all specualtives would get hit – thus the drop in cryptos – from that point forwards. I am not sure how to trade this – perhaps waiting it out to reach BTC 30K makes sense…I know all here will be reading this – asking for collective guidance – BTW – what about my question regrding ‘bank holiday in June’ – did you at one time share this? I wasn’t shown the year though. Also Trump was elected thus delaying some judgments. I highly appreciate your gift and your ministry. Thank you! Concerning “delaying some judgments” Pastor Lindsey Williams says, as long as Donald Trump stays the President, there will not be a big crash. Corrections yes (me: thus FAZ going to USD 42), but no crash, no NWO, yet. Very interesting statements about gold, silver, BTC (thriving), oil, the Dow, etc. Blessings to you and to all Brothers and Sisters on z3news! I agree. I had a clear dream over a year ago detailing the Dow soaring. Following up on our estimates for the wave down to 2000-2100 ish. As I stated, it would be a impulsive wave 5 wave count. For the market to turn at up at 2100ish and go to new highs above 30,000 dow, then the 5 wave count would have been a 5 wave count of a very large, and I mean very large WAVE C correction because it would have dropped through two previous 4th wave lows which are about 2450 and 2328. I’m not sure if that violates any of elliott’s rules, don’t think so. One other thought, could you be seeing futures dropping down to the 2000-2100 ish and possibly the cash index holding higher as happened on the Trump election night, even as much as a couple hundred spx points. Or, it is what it is…every trader will turn long term bearish on a drop that far down (2000) leaving the door wide open for the cheapest forward “calls” at 2900 that we could dream of. I have no revelation after the drop, hmmm. So we pray. I don’t think it will be fulfilled in futures because in the dream it was cash index. The numbers FAZ $42 and SPX were very specific. I’m focusing on the big picture. I have been short since SPX 2808 was broken and took some profits down to 2532. No I meant FAZ $42 and SPX 2100….sorry!! I had a vision very recently in which I was discussing a war with Brother Sadhu. I was saying a war will happen in March and he was saying No, the war is in November (we will see soon). Maybe two wars? The first part of your dream was fulfilled with the Cryptopia hack. This all lines up with JRs third hangman being related to a war. Dear Phanuel, I hope that you are ready to get your appointed FAZ shares? December was a warning for all of us, because the Stock market PLUNGE can happen at any time, although there are prophetic revelations that give clues. You were given border line dates that extend till March 16, but we do not have to wait till March 16, because there are many hints (prophetic and non prophetic) that the market PLUNGE could start this February. Still not ready yet. God will provide. Phanuel, i do not know how you plan to trade your shares, but you can also make leveraged trades on a forex broker. You might not need a lot of money to make a leveraged trade, but the key is to buy FAZ at the lowest possible price, to minimize leveraged trade losses if FAZ prices drop further. Let other Z3 members explain this better. Talk to James Bailey or a few others. Phanuel, i know that it is not yet time, but you can still get prepared with a small amount of money, because Stocks might move this month, sooner than we expect. christine thank you as always for your sharing your insights from God to us. You have richly blessed this board by your boldness and insights. you’ve also given me confirmation to bu y put option for March for usa markets as I’ve been dragging my feet. I’ve been reading about political situation in SA and I can imagine your struggles there and hope all is well as years ago I travelled throughout SA, trully a beautiful land. Pleasure, Van. I love living in SA. Safest place to be is the center of God’s will. On the Feb 22 edition of TruNews Rick Wiles and team discuss the coming war in great detail and possible timeframe. I’d HIGHLY recommend people listening to it. Full show is over an hour but well worth the time. There are many videos on YouTube about Billy Graham being a high level freemason and although it is hard to get your head around, his death and lying in state for 9 days may be a connecting link to the timing of this dream if freemasons taking over the exchange. Cryptopia is in NZ and many of the elite are buying property there. Hillary and Obama are both going there shortly. We need to ask for more understanding how all these puzzle pieces fit into the big picture. Billy Graham will be buried on 2nd March. Yes, let’s pray about it. I have often asked the Lord about this Illuminati connection Billy Graham was alleged to have had. I have never had full confirmation either way, but I do feel he was in high places, keeping his friends close and his enemies closer, to bear witness and be a light in the darkest depths. How does the Holy Spirit work through a man to bring men to a place of humble contrition, while that man would simultaneously be doing dastardly deeds for the Enemy? You hear clearly from the Lord more than most I’ve ever met, so I’m going to see what he confirms to you. Praying for your lovely country 🇿🇦 and you, Sister. Hillary and Obama both trying to escape to New Zealand? They can’t escape extradition when both are charged with the crimes they have committed against the people of the United States. Perhaps this dream of war and mass exodus will be on a spiritual level as well. On the morning of Feb.22 I woke remembering my dream. It was a beautiful sunny day, a field of green grass as far as one could see extending from beautiful trees. A large table under the trees with people sitting around singing a song. I was standing near the table and it seems my mind was singing this song as they were verbally singing the song. This song was being sung in old english dialect and one I couldn’t possibly make up as I see it.EOD. I woke and could only remember the last word of the song-‘Asunder’. Shortly after waking I read of Billy Graham passing. As I went on to study more in scripture, this word is found ’22’ times, ‘9’ of which are found in the new testament. Just as a side note for now, after reading more about Billy Graham, I was led big time to Zechariah 11. Interesting it is ETH founder who says this as my train crash dream had the ETH shape in the two tracks running side by side, perhaps this announcement cement is a time marker of the trains entering the spearhead shape and then crashing shortly after. ETH is the Hebrew word for the equivalent of kairos time. The Lord has also been showing me something about war and a market crash – the Lord has also shown me that there will be a huge breakout in LTC in March and that a BTC crash will bring down LTC… I had a dream where I woke up late one day and the price of LTC had skyrocketed and triggered a limit sell order but when I woke it was plummeting rapidly it seemed to be under 100 and heading quickly to zero and I heard the Lord say, “this where you will make your money”; I believe it could be late March early April when the crash/war takes place and he’s let me know everyone is going to be trying to get out. Thanks for sharing these confirmations Timothy. I saw Litecoin dropping to $88 and Maria Conwell saw it at $87, confirming your price under $100. Also, the surge in price confirms what Christopher Harris saw in a dream yesterday, a price surge to $400. He was not shown dates so perhaps it’s not the same surge you saw happening in March. Tonight I prayed to the Lord when LTC would move and if we are still hitting $12,200 before the move to $4,850. I saw very clearly a huge breakout of LTC when BTC hit about 9k. A big rebound happened in both and I saw LTC hit $307. This may be a profit taking target or just on the way to the $400 LTC I saw. I believe this could happen soon, but I caution you if you enter the trade remember my warning and final target from the Lord is exiting when BTC hits $12,200 no later. I will probably wait until it hits this on coinbase or exit at the LTC $400 mark. This could also be about a later time but I think it’s very soon. Potentially a very profitable trade. I’ve still been holding in LTC, since 11.5k, has been a difficult testing ride, but I believe my holding fast to the view my $12,200 target wasn’t fulfilled may about to pay off. Please seek the Lord I could be wrong in my interpretation and it’s possible it could be later. My close friend also had a dream of a side in blue planning an imminent attack on a side in tan, potentially near the water (it was something like this happening soon, seemed it could be war related). God bless you, Christopher. Anything you can trade on Australian platform, should trade on Australian platform, because it has Australian law governing it. Hi David, almost all the prices I see in dreams and mention here are USD (though I am from Aus). If they are not USD I will mention specifically, so you can assume they are USD. I mean $12,200 usd for BTC and $400 usd for LTC. My LTC is on an AUD exchange awaiting sell point. I sold my rdd already but search for comments about the rdd wallet I don’t know much about it. God bless. Christopher. Are you planning on buying back into etn, reddcoin, etc. after the crash of bitcoin down to 4000-5000? Yes I believe so. Etn/xlm/some rdd and adding a ppt (Populus) position. I’ll re-enter in LTC. Plan so far and may change though. should be the official site. From here to download the wallet. Check out carefully, on internet there is so much scam. It will take 16 hours plus to download ( sync ), so you can plan to start downloading in the afternoon, then second day morning it is ready. Hi James. As Christine mentioned I saw this drop and felt the panic in a dream also. In the dream I woke 10:32 (South African time, late morning). I was in a panic, as I looked on my screen I saw BTCUSD oscillating between 1300 and 1600. I knew there was panic in the market, but didn’t know the reason. I could see that the price came to this point in an almost vertical drop. I got a very strong feeling of being late. This would also agree with Christopher Harris 30K-2K drop. (Did submit the dream details couple of days ago via “contact us”…). Seems like a very risky drop to 2K. Also thank you Christine for sharing our ABBA’s heart. Thanks for sharing this Anton. I think there are two drops ahead, one down to about $5,000 and the other to the levels you saw. I think Christine’s dream is more likely revealing the first drop, which is the smaller one. The second drop would be when 32 exchanges go down overnight. From some of the information revealed here and the potential panic if there is a 95% war related drop from market highs of 30-35k in cryptos, this could lead to panic in other areas, panicked fuel, food, water and medication buying. I encourage people to seek the Lord always, and I believe it is wise given the warnings in the Bible to prepare extra amounts of these if you can, securing your living quarters, sleeping, power outages, blankets, candles, consider a means of physical personal protection, and other such considerations if there is a war related panic. Just consider what it looks like when a hurricane comes and what happens to the stores, seek the Lord and prepare accordingly if you feel led in the Spirit. God bless you and keep you. Christopher. I remember the panic in my railroad dream where the woman in my carriage was tearing open her sacks and dumping her small round vegetables because of news of the crash ahead. I caught some on my lap . Perhaps this is why the Lord said to me to buy LTC. Do you think we should buy litecoin when it crashes, sell it when it’s high and put those toward alt coins? Please be aware of the Newly discovered vulnerability of Ledger wallet.